Any Device. No App Required. 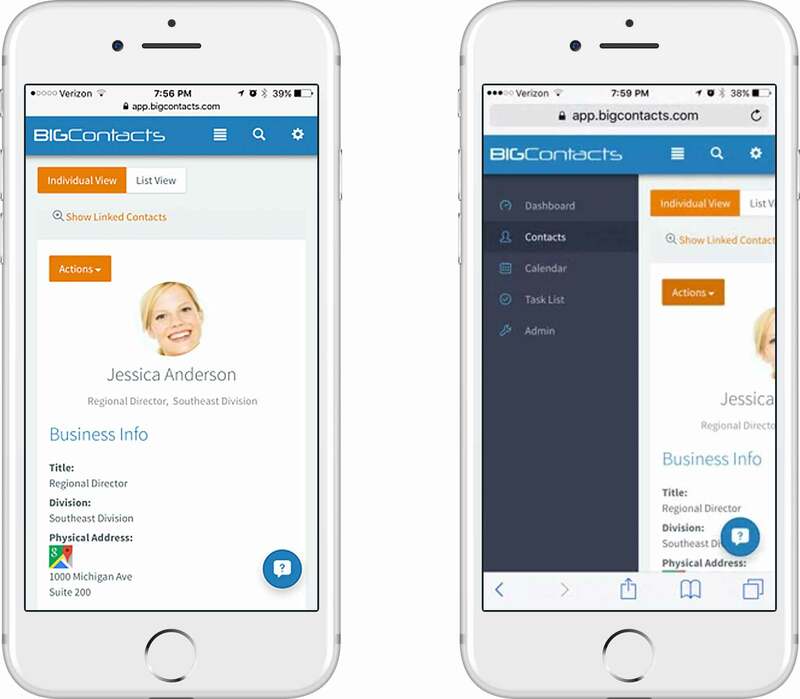 BIGContacts will work on any Smartphone or Tablet and is included as part of your BIGContacts subscription. Mobile access is included at NO additional cost. 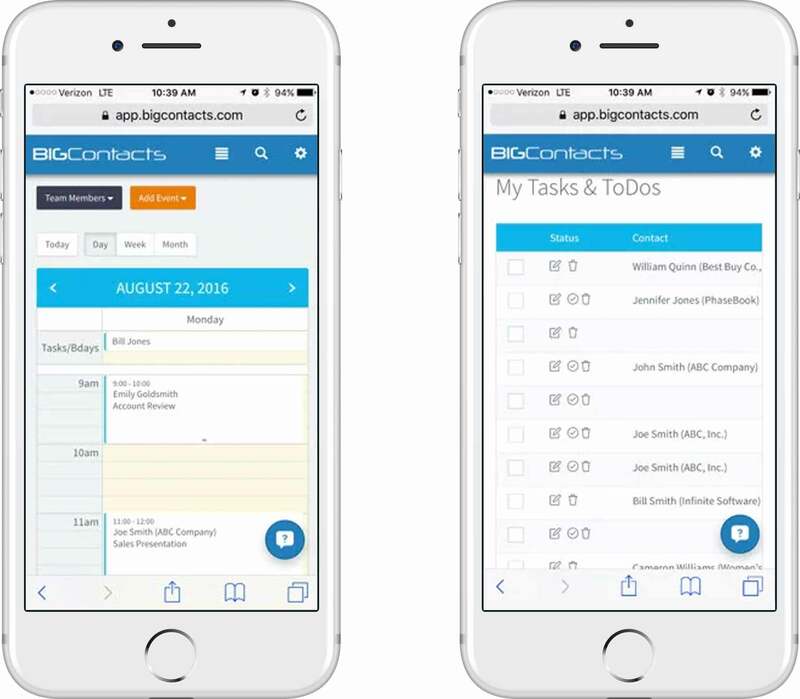 You can view and manage all your Contacts, Calendar, Tasks and Sales Opportunities from anywhere on any device! Our system is responsive and will automatically resize to fit perfectly on any mobile device. Quickly navigate anywhere in the system with just two steps: open menu and select a tab. Instant access to meetings, tasks, opportunities and contact history. 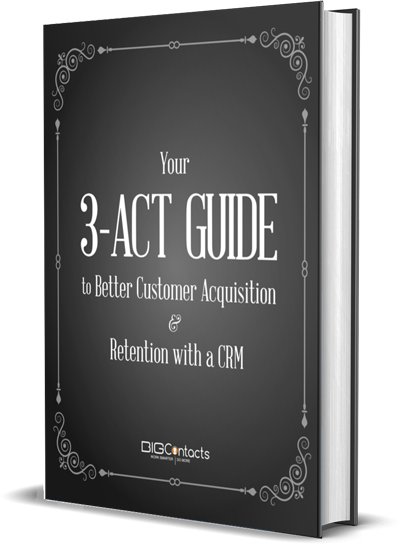 Stay up-to-date on all customer and prospect activity. View your Calendar and Tasks with one click. Make sure nothing falls through the cracks while you’re out of the office. PLEASE NOTE: The mobile edition is not a downloadable app and does not require access to an app store. It will work from any mobile device and never requires updating to take full advantage of our latest updates. 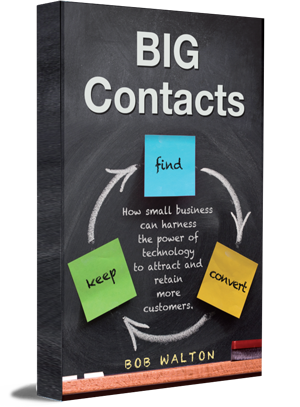 Quickly & Easily Access Your Contacts on Any Device. No App Required.